The Gay Gamer: Great minds really *do* think alike! How so? 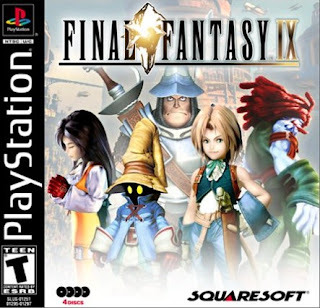 Well, for the past few weeks I've been thinking about picking up the PSone classic, Final Fantasy IX. I know it's tantamount to blasphemy to admit this, but I've never played this particular Final Fantasy sequel. Of course, it's more than likely the PSN release will have a $14.99 price tag attached to it, so maybe I should head back to Amazon and spend the same amount of money on a version of the game that I can touch and feel? I didn't realize this was PS1. I might have to track this one down, too!